Restaurant Training Game – Top This! Product knowledge training is an important part of your overall restaurant training program. It’s not enough for your employees to simply know their products. They also have to use that product knowledge to make sales. The Top This! contest can be used during a training meeting and gives employees an opportunity to do just that — before they hit the floor. Here’s how it works. Selected menu items to feature in the contest. Before your pre-shift meeting, select several menu or bar items you want to feature in the Top This! contest, and write their names on a piece of paper. At the meeting, split your staff into two teams, dividing the best players equally. Have one member of each team stand face-to-face and take turns describing food items or drinks with phrases that highlight features (“They’re covered with bubbly cheese”), benefits (“They’ll go great with your beers”) and value (“They’re only $4.95). Contestant B: Graham cracker crust! Contestant A: Fresh whipped cream! 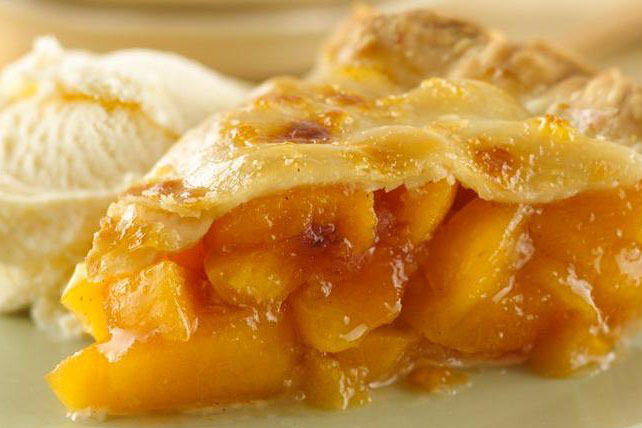 Contestant A: Goes great with a scoop of vanilla ice cream! The stumped contestant has been “seated.” The first team to seat all the members of the opposing team, or the team to seat the most opponents in a designated time period, wins. Reward the winners with lottery tickets or other small, inexpensive prizes. Close the meeting with a discussion about the features and benefits of menu items you’d like to focus sales on for that shift. 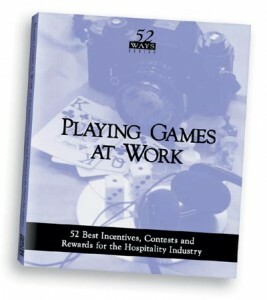 Excerpted from Playing Games at Work: 52 Best Incentives, Contests and Rewards for the Hospitality Industry. Our 52 Ways Series presents an idea for every week of the year on the topics of incentives, teamwork, staffing, cost control and bar profits. For a limited time, get the whole package for less than $80 – click for details!